One of NATA's primary objectives is to provide top-notch educational opportunities for members. We strive to offer innovative and effective learning opportunities to help you grow as a professional. NATA encourages all members to be lifelong learners through continuing education and professional development. Athletic trainers must continue to obtain current professional development information, explore new knowledge in specific content areas, master new athletic training-related skills and techniques, expand approaches to effective athletic training, develop professional judgment and conduct professional practice in an ethical and appropriate manner. Acquire new knowledge and skills through our wealth of educational opportunities such as online webinars and courses, seminars, workshops, advanced educational programs and certificates. NATA is proud to host several live CEU opportunities throughout the year for athletic trainers. These events range from the Clinical Symposia and AT Expo to events focused on federal legislation and targeted events for educators and ATs in emerging settings. As an added benefit, members of NATA will usually receive a significant discount on registration to these events! 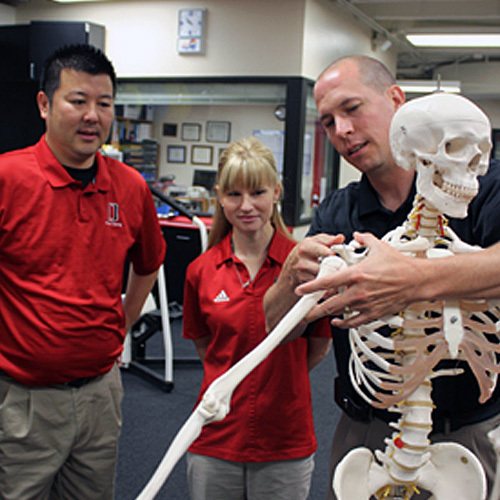 Find educational resources for the athletic trainer.